81, retired Target Associate and wife of Bob Glasse owner(s) of Aetna Mobile Homes, passed away Wednesday, June 30, 2010. Services are 10:00 a.m., Saturday, July 3 at Downing & Lahey Mortuary East. Interment will be at 2:00 p.m., Saturday, in the Caldwell Cemetery in Caldwell, KS. Ruth was born July 12, 1928 in Medford, OK to William and Gladys Shoffner. She was raised in Caldwell, KS and married her true love, Bob Glasse on November 5, 1945 in Wichita, KS. Ruth is survived by her sons, Rob Glasse (Jill) of Valley Center, KS and Rodger Glasse of Haysville, KS, daughter, Roxe Ann Yarbrough (Kurt) of Park City, KS and brother, Bill Shoffner (Judy) of Wichita, KS, grandchildren, Nick and Chris Glasse of Dallas, TX, Ashley Glasse of Valley Center, Andrew Glasse of Haysville and MacKinzie Glasse of Dexter, KS and great-grandchild, Kaleb. In lieu of flowers, a non-taxable contribution may be made to the “Belleview School House Restoration Project” c/o First National Bank of Wellington, 206 E. Harvey, Wellington, KS 67152. Interment will be at 2:00 p.m., Saturday, in the Caldwell Cemetery in Caldwell, KS. Elaine Clark, 71, of Wellington went to be with the Lord, Saturday, July 5, 2014 at her home near Wellington with her family by her side. Memorial services will be held at 1:00 P.M., Friday, July 11 at the Corbin United Methodist Church. Memorials have been established with Take His Heart Ministries and Sumner County Historical and Genealogical Society (SCHGS). Contributions can be left with the Shelley Family Funeral Home of Wellington. For further information please visit www.shelleyfamilyfh.com. Elaine May Clark was born August 22, 1942 the daughter of Beryl Julian and Edith “Verna” (Hess) Evans in Caldwell, Kansas. She attended corbin School and graduated from Caldwell High School in 1959 and earned her Bachelor’s Degree from Southwestern in 1963. On May 26, 1963 Elaine was united in marriage to Larry Clark. She later earned a Master’s Degree from the University of Arkansas and Friends University. She taught at the Arkansas City Junior College, Chilicco Indian School, Southwestern College, Belle Plaine High School and Derby Middle School. Elaine was a community philanthropist, historian, teacher, newspaper columnist, book author and benevolent farmer’s wife. 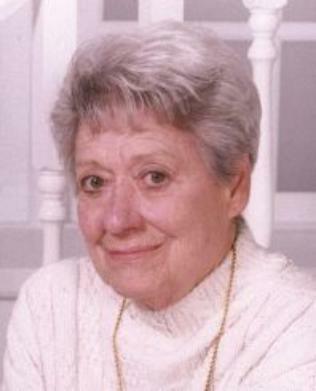 Elaine was an excellent musician who enjoyed sewing, cooking and entertaining family and friends. Elaine is survived by her loving husband, Larry of the home, sons, Cy H. Clark and Lynnelle Shaw of Colorado Springs, CO, Rustin Clark and Mariah of Newkirk, OK, and Troy Clark of Belle Plaine, KS; grandsons, Michael Hollis, Shane Clark and wife Alicia and their mother, Chalita; RJ Clark, Devin Clark, Cameron Clark and their mother, Becky; granddaughters, Shahannah Wilkie and Linsey Wilkie; a sister, Mary Lou Holcomb of Lawrence, KS and a brother-in-law, Wilt Cooper of Littleton, CO.